I have been given this product as part of a product review through the Chronic Illness Bloggers network. Although the product was a gift, all opinions in this review remain my own and I was in no way influenced by the company. As I have shared in many of my blogs, articles, and book, I am always looking for ways to combat chronic pain. Not only for myself, but for others as well because I know firsthand how brutal it is to suffer with pain. In my case, pain is caused by a neurological movement disorder called dystonia. Every day I have pain that ranks on a scale of 1-10 (I am not a fan of this subjective pain scale. I am just using it to describe my daily pain variation). It can be localized or widespread, and I never know from day to day, hour to hour, where that pain might be, how bad it will be, or how long it will last. Therefore, I use a variety of different things to alleviate my pain, which you can learn more about in my blog and book. All things considered, I think I do a good job at managing my pain, but I can have some rough days so I can always do better. This is why I am always on the lookout for anything to add to my toolbox. Enter Invigorate pain relieving lotion, which I have been using for the past 2 months. 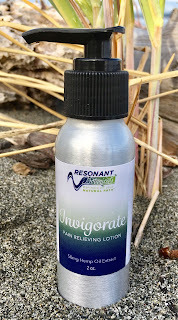 Invigorate, made by Resonant Botanicals, is an all-natural pain relieving lotion made with the herbs turmeric, valerian, devil’s claw, manjistha and arjuna, steeped in organic grape seed oil. This infused herb oil is added to organic hemp oil, hemp oil extract, apricot kernel oil, jojoba oil, clove oil extract, and borage oil, and essential oils such as sandalwood and rose otto. It also contains magnesium and MSM (Methylsulphonylmethane). MSM (Methylsulphonylmethane) is something we don’t hear much about. MSM is a powerful natural anti-inflammatory with many benefits, especially pain. A great book to learn more about MSM is called, The Miracle of MSM: The Natural Solution for Pain. Research suggests that MSM can act like a natural analgesic, helping prevent and treat muscle aches and pains, throbbing, and swelling, while improving range of motion and mobility. Clearly an important ingredient to have in Invigorate. All of the science behind, personal experience is what matters most, which of course varies from person to person. I think it smells great with a light citrus fragrance, is easy to apply (not greasy and easily absorbs into the skin), and most importantly, it helps with my pain and stiffness. I use it every night before bed and as needed during the day. The difference I notice using it before bed is less pain and stiffness in my shoulders and neck in the morning. When I use it during the day, my muscles stay more relaxed. Not perfect of course, but it takes the edge off. It gives me a soothing feeling. Not only do I use it for the pain in my neck and shoulders from dystonia, I have use it on my elbow where I have tendonitis. It cuts the pain in half most of the time. A few times in the past month I had a stomach ache and within 15 minutes, the discomfort was 75-100% gone. I have since shared this with my mother who has stomach issues that sometimes keep her on the couch or in bed with a heat pack for hours at time. She began using Invigorate every morning and night, and has noticed some relief. She still has some issues, but she claims to have been feeling better than usual. Invigorate is available in two sizes: 8 oz. and 2 oz. The 2 oz. container is TSA-approved so it is safe for travel by plane. The price ranges from $20 – $55, which is quite good considering the competition and all of the natural ingredients and formulation process. It also lasts a while. I have had my 8 oz. container for 2 months and still have plenty left, and this is with daily use. Use Coupon Code RELIEF for 10% off and free shipping. Another feature is their packaging. Instead of plastic, they use brushed aluminum containers. This is because plastic contains phthlates, molecules that make plastic pliable. Phthlates leach out at temperatures above 86 degrees Fahrenheit. For most people, phthlates are excreted through the urine, but for those with autoimmune compromised conditions (and women during pregnancy) phthlates can become troublesome. There is more about why they use these containers on their website. I hope you decide to give it a try. 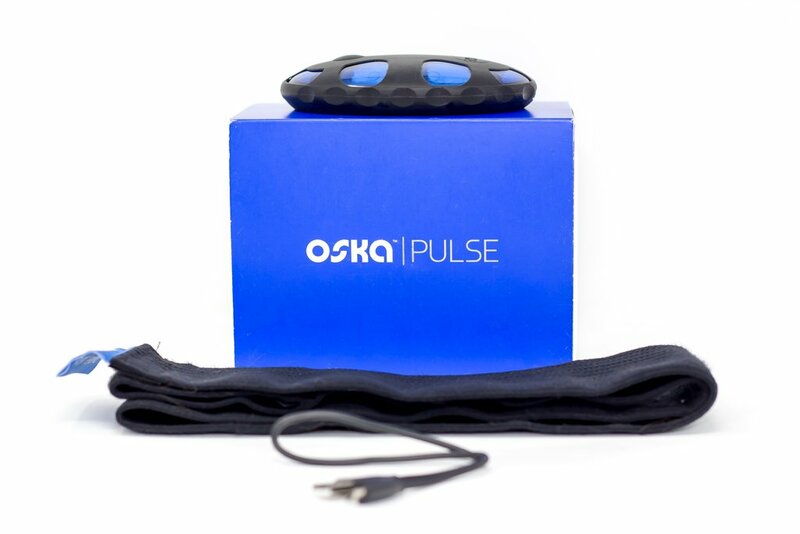 I have been very impressed with the product and company. 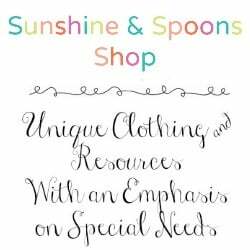 They are very knowledgeable and extremely helpful. When you read on their website about how they came to be, you will know why they are more than just a run of the mill company. They put their hearts into their brand, which is the kind of company I am proud to support! "You have dystonia"... Now what? “You have dystonia” are three words that can be very confusing and frightening. Receiving the news that you have any chronic condition can bring out a lot of emotions. People may react with fear, anxiety, anger, disbelief, a sense of loss and injustice, and depression. Some become very inquisitive and feel vindicated that what they have wrong has been acknowledged. I would guess that most people experience a combination of all these things and more. I experienced all of these things at one time or another. However, it was not when the doctor said, “You have cervical dystonia.” It was in the weeks, months, and years that followed that I rode the emotional roller coaster. I was actually relieved at first because I finally knew what was wrong so I could move in positive directions regarding treatments and lifestyle changes, rather than all the useless rabbit trails so many doctors had taken me on. However, I was not equipped with the tools I have now to properly cope, so I lived in pure misery for many years. The suffering was brutal. That is why I wrote my book. To help people end their suffering by providing tons of strategies for how to combat the brutality of life with dystonia. I lived it so I know. Please take advantage of this resource and many others available to you. Click here to get it. 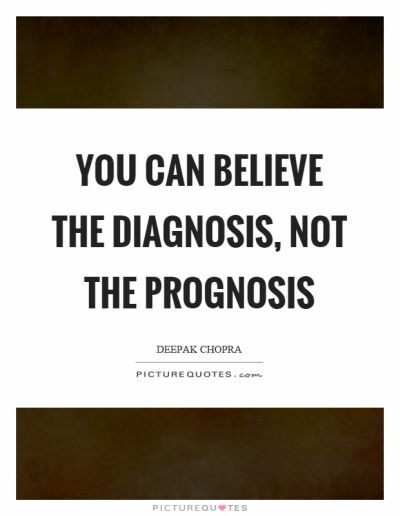 If the diagnosis isn’t enough, even more deflating to hear is, “there is no cure.” However, it is important to put this into perspective. How many diseases/disorders that people live with today, and live very well with, have a cure? I don’t have the answer to this, but it is pretty low. Most health conditions are managed, not cured, and dystonia is one of them. Just like people with multiple sclerosis, cerebral palsy, Essential tremor, Parkinson’s disease, celiac disease, AIDS, etc., all of which have no cure, people with dystonia can live a fulfilling life with proper treatments and lifestyle changes. Please don’t allow yourself to believe that you won’t have a happy, functional life simply because dystonia has no cure. Many people have transformed their lives by finding successful ways to manage their symptoms. Be patient with yourself and never give up trying anything and everything. - The dystonia diagnosis is not the definition of your life. It is not the book of your life. It need not be how you define yourself. It is not what happens to us in life that defines us. It is what we do with it that defines us. - Work hard every day to think about your life right now and not the life you had. Take each day one at a time. - Don’t predict where you might be in six months or a year. 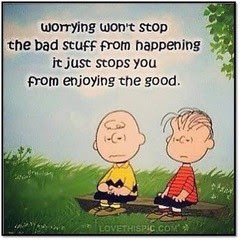 As with all of life, dystonia is unpredictable so it is best to roll with the punches versus anticipating “what might happen.” Being consumed with worry can prevent you from helping yourself right now. When I struggle in this area I say the following affirmation: “I relax into the flow of life and life flows through me with ease.” I read this in a book by Louise Hay called, You Can Heal Your Life, which I highly recommend. - Saying how much we hate dystonia won’t make it go away. As crazy as it sounds, find a way to cohabitate with your dystonia because no amount of anger will take it away. Learn to work with it. - Reach out to the many online forums, support groups in your area, and dystonia organizations to talk to others who can relate. Share what you are thinking and feeling. Learn about treatment options and coping mechanisms. Find the best doctor(s) and treatments for you. There is no cookie cutter approach. Last but not least, please do not feel any shame. You have done nothing wrong to be in this situation and even if your family, friends, and doctors blame you or tell you it is all in your head, you know the truth. Don't allow their judgments affect your state of mind. Take control and do what is best for you in order to live as high a quality of life as possible. Check out my new website!! After many months of work, my new interactive website is live! Please check it out. I would love to hear what you think. It replaces my two other websites, with information about my books, articles, blog, life coaching services, videos, media appearances, speaking schedule, self-care tools, and more, all in one place. Please also sign up for my free health newsletter. There is also an online scheduler for coaching calls and consults. 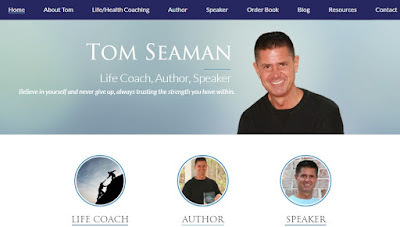 The website is www.tomseamancoaching.com. You can also click on the image below to go to the site. Thanks and please feel free to share! 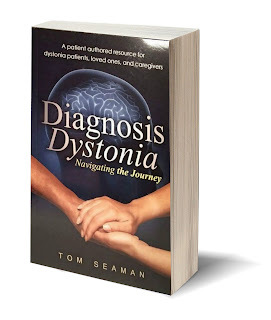 Tom Seaman is a chronic pain and dystonia awareness advocate, health blogger, motivational speaker, and author of the book, Diagnosis Dystonia: Navigating the Journey, a comprehensive resource for anyone living with any life challenge. He is also a Certified Professional Life Coach in the area of health and wellness. 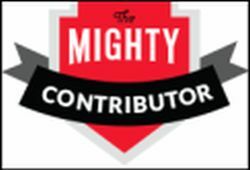 Tom volunteers for the Dystonia Medical Research Foundation (DMRF) as a support group leader, for WEGO Health as a patient expert panelist, and is a member and writer for Chronic Illness Bloggers Network. To learn more about Tom and get a copy of his book, visit www.tomseamancoaching.com. Follow him on Twitter @Dystoniabook1 and Instagram. September is Dystonia Awareness Month so I wanted to provide some information about what dystonia is and how it feels. Please share this with your family, friends, doctors, and anyone you think might find this helpful. I am going to give the general definition of dystonia first, and then provide information about how it feels and the impact it has on our lives, which is the hardest part to understand. Dystonia is a neurological movement disorder characterized by uncontrollable, involuntary muscle spasms and contractions, causing repetitive movements, twitching, twisting, and/or abnormal postures. Muscle contractions can be sustained or intermittent and sometimes include a tremor. Dystonia can affect any part of the body, causing varying degrees of disability and pain from mild to severe. In some cases, dystonia exists without visual symptoms. Some people have muscles that involuntarily contract, but they have no change in physical appearance. Pain is almost always present regardless of physical presentation. People often describe their muscles as feeling like tightropes. Unless you live with dystonia, it is very hard to understand what all of these symptoms mean or what it feels like, let alone the psychological, social, and emotional challenges that come with it. For some people, dystonia permeates every single part of their lives, demanding so much of their attention that it can be the only thing they think about. Their symptoms never stop long enough for them to get a break. The pain for many is excruciating. This chronic lifestyle is very hard to comprehend for a lot of people. It certainly was for me until I developed dystonia nearly 20 years ago. It has challenged me unlike anything ever before. 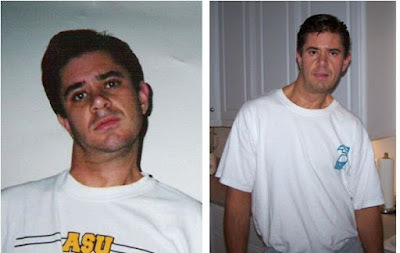 You can see in my photos below how dystonia can affect my body. It turned my world upside down and has taken me many years to find my bearings and treatments that make me more functional. Not wanting others to suffer this same torture, I made it my mission to educate people about it, so I became an active patient advocate. I also wrote a book about it that was recognized by the Michael J. Fox Foundation. It is called, Diagnosis Dystonia: Navigating the Journey. I encourage you to get it for yourself, your loved ones, and your doctors. You can learn more about it if you click here. Use the coupon code AWARE for a 20% discount this month. I find that the best way to describe dystonia is to share an example of something similar to what other people have experienced. At my worst, I used to say it felt like someone constantly had a power drill in my skull, neck, shoulders, and back, and a rope tied around my head yanking it towards my right shoulder. Of course I don't know anyone who has experienced this, so it is not relatable and thus, probably not the best explanation. I would get empathy, but it was accompanied by blank stares. Similarly, I often hear people say it feels like the affected body part(s) is in a vice, they are being squeezed by a snake, their head feels like it is being pulled off or is the weight of a bowling ball, and/or their muscles pull, turn, and twist uncontrollably. While most of us with dystonia understand what all of this is like because we experience it, it makes little sense to someone without dystonia. In order for them to better understand, we must use specific, tangible things they have also experienced so they can relate. Or, be creative and have them do things that mimic what you feel. Please see my video for some ideas. While this video does not describe all the many different ways dystonia feels, I hope it is a good representation of what the vast majority experiences. Clearly, dystonia is not a fun disorder to live with by any stretch of the imagination. Take one of the examples I give about a charley horse. Imagine what your life would be like if you had a charley horse that never went away. It is almost unfathomable, but this is what dystonia feels like for so many of us. Is it any wonder some of us may not be the same person we were before dystonia entered our lives? Chronic pain can change everything, which has forced us to adopt coping mechanisms that don’t necessarily reflect our real level of discomfort. When we say we are in pain, it is often worse than usual; much of the time we are just coping and trying to sound happy and look normal. The gal in the picture below is evidence of this. 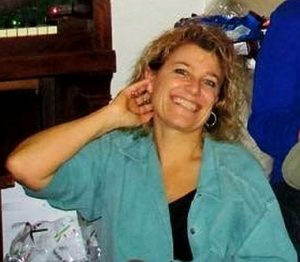 She was in major pain in this picture, but her smile tells a different story. Also take note of how she is holding her head; a gesture that is very familiar to those of us with cervical dystonia. Sometimes we hear others say, “You just need to push yourself more.” It may be hard to read how we feel on our face or in our body language, but we push ourselves all the time; sometimes too much and we pay for it later with worse symptoms. Finding balance is one of our greatest challenges. Some days we do nothing but push just to get through the day. Sometimes it took every ounce of will power to get out of bed to just eat breakfast, and that was all I could do all day. A far cry from the life I lived prior to dystonia! This is the reality of dystonia for many people, which can be a difficult concept to grasp. It is even difficult for those of us living with dystonia to sometimes understand. This video and article should provide more clarity. Too many people with dystonia do not get the support they need because those close to them simply do not understand the gravity of the situation, including our doctors. I hope this helps in that regard. I know many people who would love to go to a local support group, but there either isn't one in your area or you are not well enough to attend. This is the beauty of online support groups. However, if you are well enough to get out and go to a support group, please consider one. The human interaction can do wonders! Join one even if it is not for the health condition you live with. Before writing off this idea, please read about my experience going to a support group for a condition I do not have and how it has been of benefit. Over a year ago, I was having lunch with a friend who has dystonia and someone we had both just met who has essential tremor (ET), a sister movement disorder. 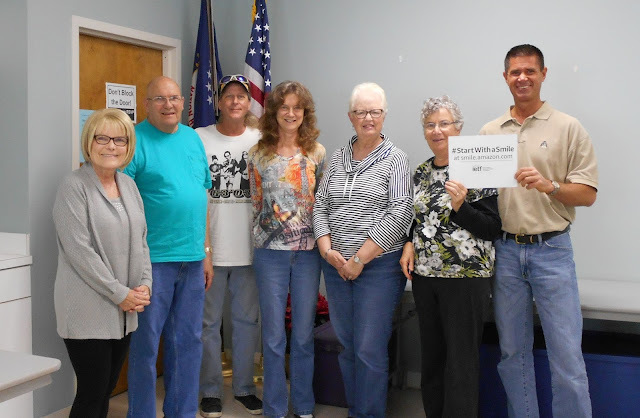 That day we learned about a local essential tremor group that meets monthly. Even though I don't have ET, I went to the meeting to support my friend since this was his maiden voyage and he was nervous. Since I have dystonia without a tremor unless I force my head the way it does not want to turn, I felt like a fish out of water when I first walked into the room. I wasn’t sure I would be welcomed since I had a different condition, even though dystonia and essential tremor are relatives in the movement disorder family. My concerns went out the window when I was welcomed with open arms. Everyone was so friendly and curious to learn more about me, my condition, and how I manage my daily challenges. What we all discovered is that even though we have a different condition, we share so many similarities in our personal lives, primarily those that affect us psychologically, emotionally, and socially. Below is a picture of some of the group regulars. Some of the members have very pronounced symptoms, while others are only noticeable at certain times. 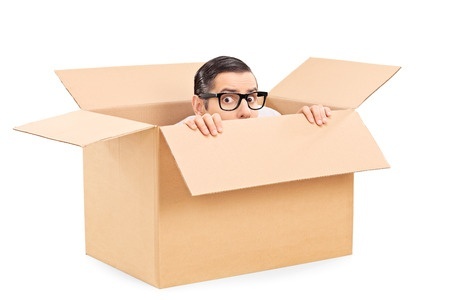 Regardless, everyone lives with one or more of the following: anxiety, fear, social phobia, shame, guilt, anger, frustration about poor medical care, and of course frustration with daily living by not being able to do tasks that were once so simple. They also have incredible empathy, compassion, and kindness… the qualities I admire most! We meet once a month and the number of attendees run from about 3 to 15 people. It is such a nice time for us to share what we experience on a daily basis, information about medical advancements, personal stories, and sometimes nothing even related to our health issues; just fun conversations in a safe place. Everyone has a different protocol of treatments, all with varying results. Everyone is eager to learn and excited to be among those who understand. These meetings allow us to let go, where all of our “problems” no longer exist. Communicating online is of course wonderful, but to hear a voice, see an expression, give and receive a real hug, among many other things, is very healing. Please look into various support groups in your area and if you are well enough to attend, please take advantage and get to know the many wonderful people in your area who are just like you. 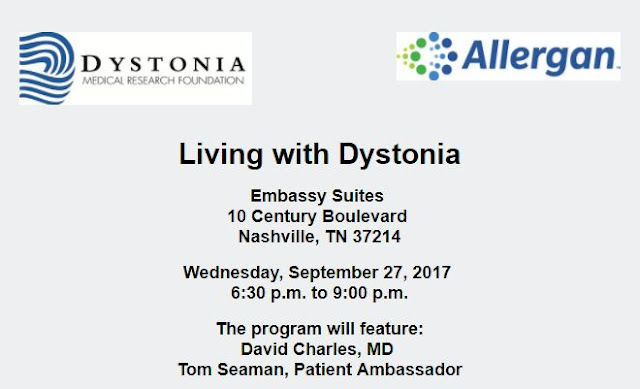 Please also consider one of the many support group meetings that the Dystonia Medical Research Foundation holds all over the country. Click on this link for upcoming events and meetings. If you are in the Nashville, TN area on September 27th or would like to visit that fun city, I will be speaking at a dystonia meeting along with Dr. David Charles from Vanderbilt University. The details are below. This is a free meeting and anyone can attend. Registration is online, but walk-ins are also welcome. I would love to meet many of you in person so I hope you are able to attend! Remember that September is Dystonia Awareness Month! If you would like to learn what you can do to help, please contact the Dystonia Medical Research Foundation by phone at 800-377-3978 or by email at dystonia@dystonia-foundation.org. Also, in honor of Dystonia Awareness Month, I am offering a 20% discount off my book, Diagnosis Dystonia: Navigating the Journey. Please use the coupon code AWARE at checkout. Pick up a copy for yourself, or get a few copies for your loved ones and doctors. 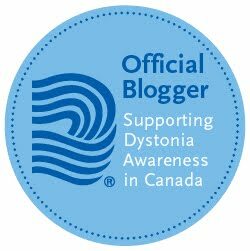 Thank you for your support in helping make dystonia a household name! I have been given this product as part of a product review through the Chronic Illness Bloggers network. Although the product was a gift, all opinions in this review remain my own and I was in no way influenced or paid by the company. As many of you know, I live with chronic pain from a neurological movement disorder called dystonia. It is a condition where muscles in the body (in my case, the neck, shoulders, and back) involuntarily contract, causing awkward movements and postures. For most of us with dystonia, pain is the most common symptom, so I am always on the lookout for anything that can give me and others relief. When it comes to things I ingest, my preference is to go the natural route before medical, but I use a combination of both. In recent months, CBD products have been of interest to me. CBD stands for cannabidiol, the non-addictive compound found in the cannabis (marijuana) plant, often known as hemp. The other well-known compound in cannabis is THC or Tetrahydrocannabinol, which is the principal psychoactive, potentially addictive element. Unlike THC, CBD does not cause a “high.” Both compounds have been shown to relieve many health problems. As a member of Chronic Illness Bloggers, a network of bloggers focused on chronic illness, I was asked to review BioCBD+™ Total Body Care, made by BioCBD+™, and share my experience. 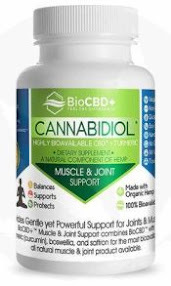 BioCBD+™ Total Body Care is an all natural, water soluble source of CBD, plus Ayurvedic herbs. It is vegan, pesticide free, gluten-free, non-GMO, and contains no soy, nuts, added sugar, or artificial coloring or flavoring. BioCBD+™ Total Body Care is also cGMP certified (the highest certification possible in the nutrition supplement industry), which is an added bonus for me as a consumer. On their website, they provide a certificate of analysis for all of their products so you can see their exact ingredients. Unlike most other CBD formulations on the market (oil drops, sprays, and topical lotions), BioCBD+™Total Body Care is a capsule just like a typical supplement. The company claims that their water soluble CBD makes the cannabinoids, terpenes, magnesium, and turmeric (curcumin) 5 times more bioavailable (more easily absorbed) than their oil-based competition. According to their website, tests show that 10 mg of BioCBD+™ Total Body Care is the equivalent of taking 50 mg or more of oil-based CBD. The suggested dose is 1-3 capsules a day, up to 6 capsules. Each capsule has 10 mg of organic European grown hemp CBD, plus Ayurvedic herbs. I began with 1 capsule once a day and increased to 3 a day over the course of a week (2 in the morning and 1 in the evening). I was not noticing any changes at one or two capsules a day. A couple days after increasing to 3 capsules a day, I felt more relaxed with a moderate reduction in pain. At times, I found myself feeling drowsy. If I did not keep active, I felt like taking a nap. While I noticed a decrease in pain, there was no marked improvement, although I did feel better. Since I had on a few occasions succumbed to less activity because of the drowsiness, that further helped reduce my pain. I continued taking 3 capsules per day, but chose to take only 1 in the morning and 2 in the evening closer to my bedtime so I could be more productive during the day and relax before bed. When I made this change, pain relief remained consistent, my mind remained calm, and I was less drowsy. I felt more grounded with greater clarity. It reminds me of how I feel after a good massage or acupuncture treatment where I feel a greater sense of calm wakefulness. It was subtle, but I felt less of an edge. The biggest difference I noticed was with tendonitis in my elbow. It was not bothering me near as much after taking it. This is a big positive, because there were days it was so bad that just shaking someone’s hand would cause screaming pain. 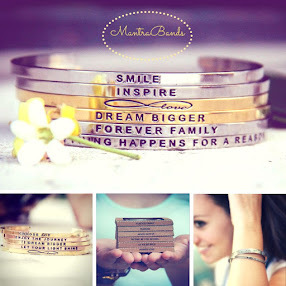 I encourage you to check out their website to learn more about this product and the others they have. It is different from other products I have tried in terms of its formulation, so it may very well be just what you are looking for in a CBD product. The website is also packed with helpful information about CBD and how it works. The company prides itself on customer satisfaction, so if you are not completely satisfied, they offer a 30-day, 100% money back guarantee. We often hear the term Post Traumatic Stress Disorder (PTSD), a mental health condition triggered by a traumatic event. PTSD is commonly used in context of military personnel returning from active duty, but it applies to anyone who has faced traumatic events such as sexual or physical assault, an acute or chronic health condition, natural disasters, the unexpected death of a loved one, or an accident. Most people who experience a traumatic event will have reactions that may include shock, anger, nervousness, fear, and even guilt. These reactions are normal and for most people go away over time. For a person with PTSD, however, feelings of intense fear, helplessness, or horror continue and may even increase, becoming so strong that they keep the person from living a fulfilling life. Some people with health conditions like multiple sclerosis, Parkinson's disease, dystonia, chronic pain, and many others experience PTSD. A term we hear far less about, if at all, is called Post Traumatic Growth (PTG). PTG refers to people who become stronger and create a more meaningful life in the wake of tragedy or trauma. They don’t just bounce back, which is resilience; they bounce higher than they ever did before. PTG is characterized by people changing their views of themselves, such as an increased sense of strength; “If I lived through that, I can face anything.” They tend to show more gratitude and have greater acceptance of their vulnerabilities and limitations, and also develop a sense that new opportunities have emerged from their struggle. Relationships are enhanced; people come to value their friends and family more, feel an increased sense of compassion for others and a longing for more intimate relationships. They can also experience an increased sense of connection to others who suffer, which is evident in the support groups many of us belong to where we find great empathy and compassion. They gain a greater appreciation for life in general, finding a fresh, positive outlook each day; they re-evaluate what really matters in life, become less materialistic, and are better able to live in the present. Another common feature is a change or deepening in spiritual beliefs. I was never diagnosed with PTSD, but I lived through periods of intense fear, anger, desperation, and hopelessness after experiencing a dramatic shift in my life due to chronic pain from dystonia. Having worked through a lot of these emotions over the years, I have seen a significant amount of growth. I appreciate many things I once took for granted. I realize how fragile life is and how it should be honored by treating ourselves and others with love and respect. 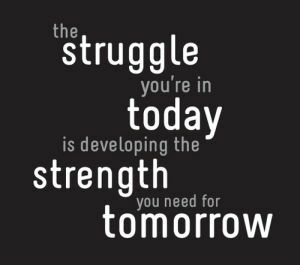 I have a much deeper appreciation for people who struggle with life challenges. I have come to better understand the meaning of loss which has increased my ability to live in gratitude. I have also found greater meaning to my life and feel a deeper spiritual connection. HOWEVER, I had to get past my anger and open myself up to opportunities, which took time. I needed to grieve for the life I lost. Once I did, I saw things very differently and began behaving in more positive ways. The key was not being so stubborn and peeking outside my box of comfort and seeing the life I could create for myself, all the while still living with chronic pain and dystonia. Any life challenge can truly be a source of growth for all of us in ways we probably never imagined, and research has shown that in the face of great challenges, significant human and spiritual growth can occur. In order for it to take place, it is crucial that we are open to the possibilities that lie within our “misfortune.” We must abandon hatred and anger, for it will only worsen the pain we feel, preventing us from any kind of growth. Every experience is an opportunity to learn and reach a higher level of well being.